As an early stage startup, you are definitely eager to attract loyal customers, impress potential investors and raise awareness of your brilliant new operations. However, the main question is how to do it effectively without spending a fortune from your bootstrapped budgets. Luckily, the answer is simple: micro-influencer marketing. It doesn’t require your every last dime and is extremely effective in helping you spread your message in a reliable and authentic manner, precisely targeting your unique audience. This is what you need to know to get started with micro-influencer marketing. With 92 % of consumers admitting they trust referrals from people they know, word-of-mouth has become one of the most valuable form of marketing out there. However, that’s not the only way. Research shows that consumers trust influencers the same way they trust friends and family. An influencer can be defined as a person who has a greater than average reach and impacts through word of mouth in a relevant marketplace. And the good news is – you don’t need a world class celebrity to effectively engage your audience. Micro-influencers, in turn, are social media users with a smaller but more engaged group of followers (<100,000 followers) than top macro-influencers. They are not typical celebrities but rather individuals who are considered to be experts in their niche, like vegan bloggers or yoga instagrammers. Micro-influencers are usually passionate about what they do and are considered as reliable sources of recommendations. But what is more important, they have a strong relationship with their followers, they’re regularly engaging with them and producing content they love. How Effective Is Micro-Influencer Marketing? You may think that because these influencers don’t have as much reach as celebrities and macro-influencers, it’s the same as customers giving recommendations to other customers. However, it’s not that simple. Research shows that micro-influencers have many advantages over macro-influencers and regular consumers. 92 % of consumers trust an influencer more than an advertisement or traditional celebrity endorsement. When an influencer’s follower total rises, the rate of engagement (likes and comments) with followers decreases. The engagement ratio with micro-influencers (< 1 000 subscribers) is up to 8 times higher than with the macro-influencers (> 1 000 000 subscribers). Micro-influencers have 22.2 times more conversations on purchase-related conversations and product recommendations than typical users. 82% of consumers have a high tendency to follow a recommendation made by a micro–influencer, compared to 73% when the recommendations are made by an average consumer. 94% of consumers consider micro-influencers to be more believable, knowledgeable and credible. 92% of consumers consider micro-influencers to be better at explaining how a certain product works or how it’s supposed to be used. Influencers with a few thousand followers likely post their own content, reply to comments and act more authentically than a brand or a celebrity. It can be difficult for celebrity influencers to be convincing to consumers. It’s very likely there can be a disconnection between a celebrity and common products and services an average person uses daily. Micro-influencers are more like the rest of us. It creates a level of authenticity and provides that micro-influencers’ followers respond very well to products or services they promote. It feels more like an insider recommendation than a forceful push. It can be difficult for startups to stand out from the crowd and earn their target audience’s trust. 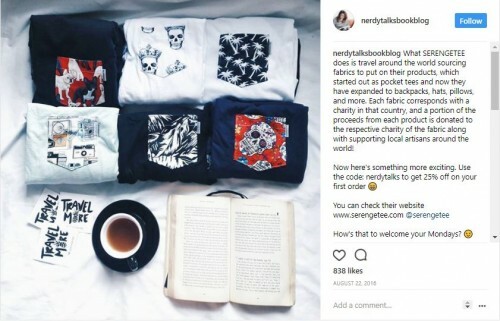 An ethical clothing startup Serengetee, for example, partnered with micro-influencers like Nerdy Talks Book Blog to build awareness about their brand and a cause they care about. As the audience already trusted these influencers, it maximized the brand’s efforts to establish trust with consumers. Micro-influencers have more targeted follower bases than celebrities with follower numbers in millions. The macro-influencer can reach a huge pool of people, but most of them might not be interested in your field at all. 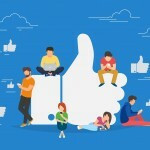 A micro-influencer of a certain niche, in turn, can connect to a smaller but more targeted audience. 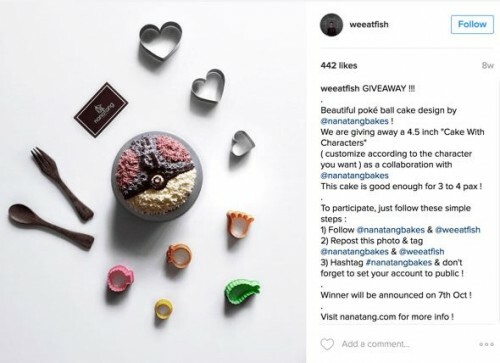 For example, a privately owned bakery Nanatang Bakes collaborated with a micro-influencer food Instagrammer @weeatfish (7,600+ followers) to promote a giveaway. The campaign increased the brand awareness and the micro-influencer allowed the bakery to connect with the right audience. Micro-influencer marketing is usually more affordable than macro-influencers with millions of followers. A survey conducted by Bloglovin in 2016 found that 97% of micro-influencers will charge less than $500 for each Instagram post; 84% don’t even charge over $250 for a post. Meanwhile, top bloggers (with 500,000+ monthly blog impressions) charge $1000 to $5000+ for one sponsored post. 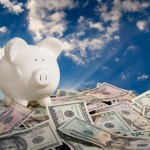 This cost-saving factor is crucial, especially if you’re a startup business working on a limited budget. Sometimes brands choose to work with more than one micro-influencer to spread their budget across multiple influencers and reach a higher number of people for less money. But even many micro-influencers would cost you less than a single celebrity. For example, a manufacturer of organic beverages Koa Organic Beverages didn’t want to spend a lot of money so they launched a marketing campaign with 7 yoga micro-influencers. Koa distributed their samples to these influencers who helped in promoting them, ultimately increasing online sales by 500%. While macro-influencers are overloaded with requests from brands every day, micro-influencers tend to create fewer sponsored posts which makes them more likely to respond to your collaboration offer. Moreover, sometimes major influencers have contracts with certain brands, which limits the number of brands they’re able to work with. Micro-influencers, however, rarely have contracts and are open to new partnership opportunities. This is especially great news for startups and smaller companies. 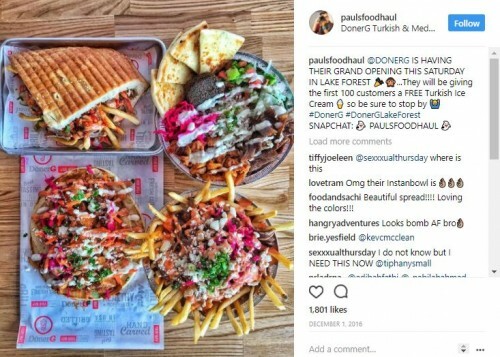 For instance, Turkish restaurant chain DonerG instead of a celebrity chose an easily available local micro-influencer to promote their new opening. The local food blogger Paul Castro had a connection with the area in question and was able to reach a very targeted local audience while providing well-respected industry voice. Business value – how your micro-influencer campaign will benefit the revenue of your business. These metrics include purchase, sales, promo code redemption etc. Marketing value – how your micro-influencer campaign will benefit your strategic marketing goals. 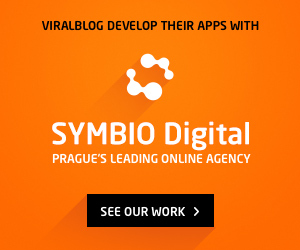 These metrics include app installs, coupon downloads, CTR etc. Content value – how your micro-influencer campaign will benefit your social media marketing execution. These metrics include likes, comments, shares and earned media value. If you don’t know who you are marketing to, you will never reach the right audience. It is critical to have a solid idea of the audience of your startup, it’s pain-points, attributes, needs, wants and interests. To identify the perfect influencer, you need to think about topics, blogs, and social media accounts your audience would follow. To find influencers that fit your brand’s identity and narrative, you will have to spend some time researching. While choosing your perfect micro-influencer, consider whether this person would use your product or service daily and do they embody your brand’s story. The most affordable way is to do the research manually. Look through your followers and who they are following or talking about and how big their group of followers is. Additionally, you can use hashtags, location, enter the keywords of your campaign and use filters or social media groups to narrow down the search results. BuzzSumo: allows you to search for influencers using specific keywords, provides relevant statistics of each influencer, lets you filter the results based on different categories. Klear: helps you find Instagram, Twitter, Youtube influencers and influential bloggers. 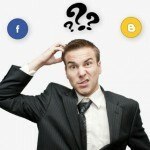 You can customize your search by choosing a target audience based on the social network, the category, and the location. Influence.co: enables you to discover influencers across all major social media platforms. Possibilities to search by location, category, age, gender, follower count, and previous collaborations. 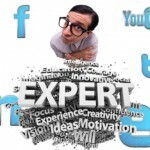 Social media mentions: the influencer creates a post that showcases your product being used. Discount codes: create a unique discount code for each influencer to share with their followers. Co-created content: create a video, image or a post of micro-influencers showcasing how your product can be used. Giveaway contests: provide valuable gifts that the influencer can offer their followers through a contest. If you’ve identified the potential influencers, the next step is to reach out to them via a comment, tweet, email, or direct message. Before doing that, build a relationship and show that you appreciate their content with likes, follows and comments. Once you do that, you can reach out to the influencer with your proposal. Make sure to personalize the message with the reference to their content, or a common interest. Offering your product or service for free or a one-time payment in return for their participation in your campaign. Google Analytics: helps you gain insights into conversions, page views, visitor demographics, and track interactions with your content. Capsulink: an URL shortener that protects you from traffic loss, damaged external links and offers insightful audience analytics like locations, referrals and much more. Quantcast: provides unique audience insights and is helpful to acquire new audiences through analyzing people’s online behavior. Ahrefs: a web analysis tool that features a site explorer, keyword and domain mentions tracker, and a backlink checker. By now you should have a clear idea that micro-influencer marketing is an effective and affordable way to promote your startup. Due to their high user engagement rates and the group of dedicated followers, they can help you establish meaningful relationships with potential customers and boost your startup’s growth. Alexander @Bickov is a Riga based product designer with over 15 years of UX design and digital marketing experience. In his work, he aims to connect people and products by using strategy, creativity, and technology. Alexander has built digital services and products for organizations ranging from agencies, startups to large companies. 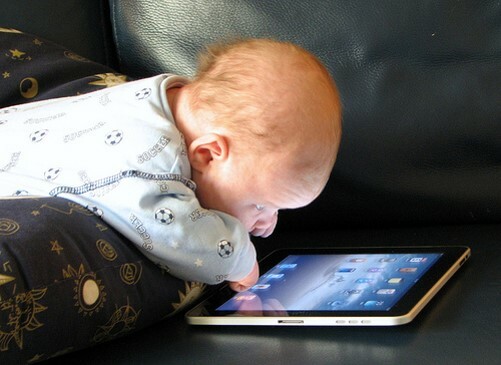 His work is featured in the iOS App Store, Wall Street Journal, CNN, Business Insider, Forbes and Big Think.